The Suez Canal is a waterway connecting the Mediterranean Sea to the Red Sea. The level of water on both seas is practically the same, and the Suez Canal contains no locks system. 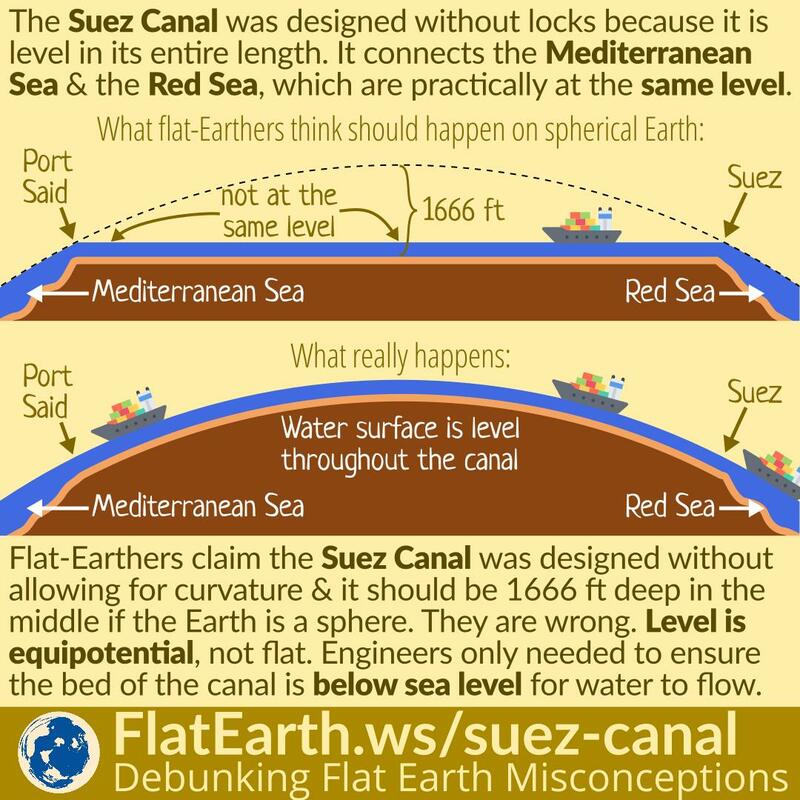 Flat-Earthers are claiming that the Suez Canal was constructed without accounting for curvature. They said if the Earth were spherical, then the middle of the canal should have been 1666 ft deep. This is merely a misconception. The surface of the water is equipotential. 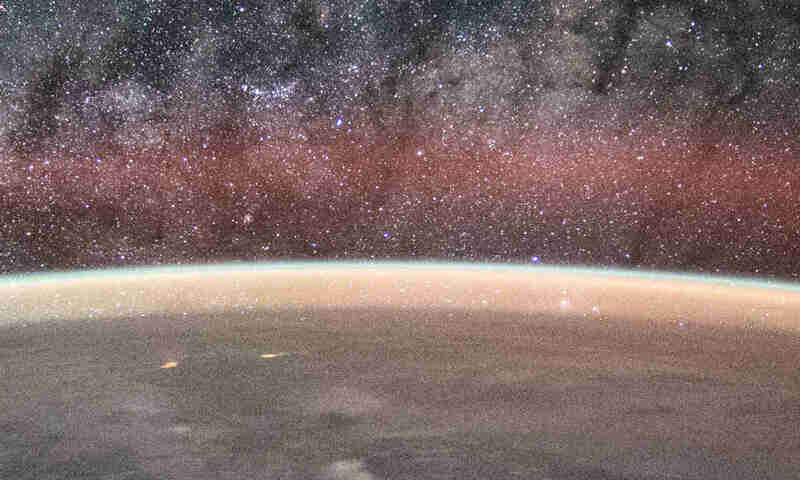 It has roughly the same distance to the Earth’s center of gravity. It is not necessary to dig 1666 ft in the middle of the Suez Canal. The engineers only need to ensure the base of the canal is below sea level for sea water to flow. All made the same mistake by misinterpreting the Suez Canal’s datum line which was 26 ft below sea level at the time of its initial construction. They claim if the Earth is a sphere, then the Suez Canal must be dug according to a straight line between 26 ft below sea level from either side, which would require digging 1666 ft deep below sea level in the middle of the Suez Canal. They are wrong. The surface of the water is equipotential or is at the same level, including when the water flows through the Suez Canal. The engineers only need to ensure the canal bed is 26 ft deep, relative to the equipotential surface of sea water. Because the surface of the water curves, then the foundation of the canal will also curve along the curvature of the Earth.